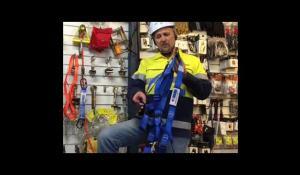 Get the Roofers Safety Kit 30 - Kit with Tether Anchor and Roof Handles delivered. Save on Roof Safety equipment with our low prices. HEIGHTech has a wide range of Roof Safety Kit available at unbelievable prices. We offer free shipping for many selected products. We also provide many related product to suit Roof Safety Kit. I have a few of these kits and I love this one. Good pricing and good qualit products. The store blokes were pretty easy going and helpful.